NamesCon is over, and if you’re still jet-lagged, you have the weekend ahead of you – unless you’re in Vegas, still. 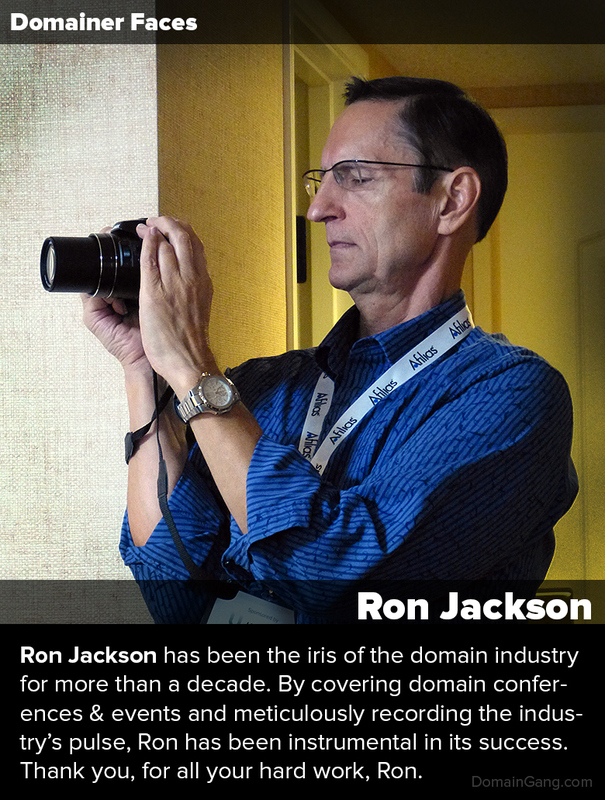 Introducing Domainer Faces, an open mini series of “domainer bios” that aspires to deliver a quick portrait of domainers, by highlighting their contributions to the domain industry. Whether famous or not, every individual domain investor deserves to be credited for their achievements, particularly when they promote the domain industry’s growth and popularity. Ron Jackson has the honors for the first chapter.